DnBuster's Place: Bring Your Family to See the Globetrotters for Free! Bring Your Family to See the Globetrotters for Free! 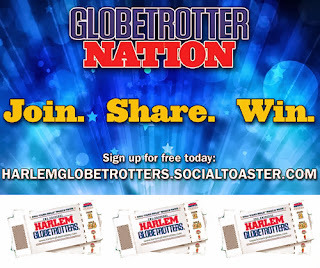 Join the Globetrotters fan club & you could win free tickets in their "Fans Rule" ticket giveaway. Every year, the Globetrotters play in front of millions of fans live on tour and on TV. With tickets for our 2014 "Fans Rule" World Tour going on sale, we want to give you, Globetrotter Nation, a chance to win tickets for your family to come watch a game. Enter our "Globetrotters 'Fans Rule' Tour: Ticket Giveaway" sweepstakes for your chance to win four ticket vouchers redeemable for tickets to any Globetrotter game on our 2014 North American tour. FIVE lucky Globetrotter Nation members will win four ticket vouchers each for their family to any 2014 Tour game of their choosing*. That's a total of 20 tickets available exclusively to Globetrotter Nation members. 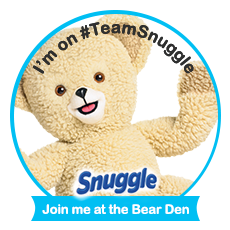 Earn points for more entries and increase your chances of winning big!